Two Etah policemen, who were caught on camera, asking a prisoner to buy them cigarettes and tobaaco, have been suspended by the Uttar Pradesh Police on Saturday. The misdeed of the duo was caught on camera of ANI following which the Uttar Pradesh Police took this action against them and also ordered for preliminary inquiry into the matter. 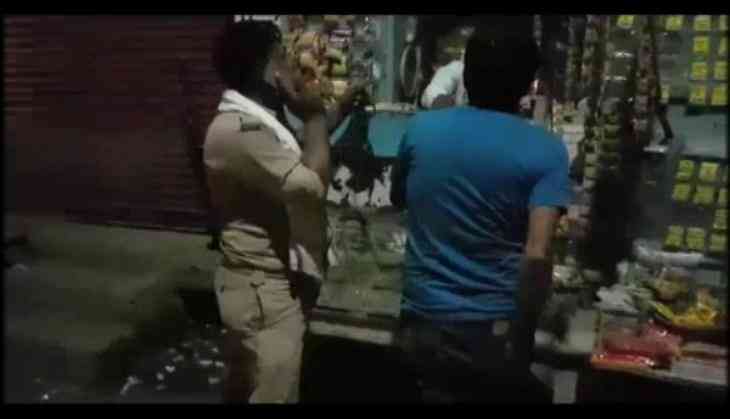 In the video, one of the cops, who was in inebriated state, can be seen can be seen walking up to a rickety roadside kiosk and buying tobacco with the prisoner in handcuffs right along with him. Another police personnel was spotted with the drunk cop and was caught on camera asking the cuffed prisoner to buy liquor, cigarettes and tobacco for them. The police constables, Ravi Kumar Singh Yadav and Rakesh Kumar were taking Raju, an accused, to the district jail after the court hearing. The incident throws a light on the security and sincerity of the policemen towards their duty as the accused could have fled from their custody because of their sheer negligence.